Well, I haven't seen many kids fishing the lower McKenzie river still. 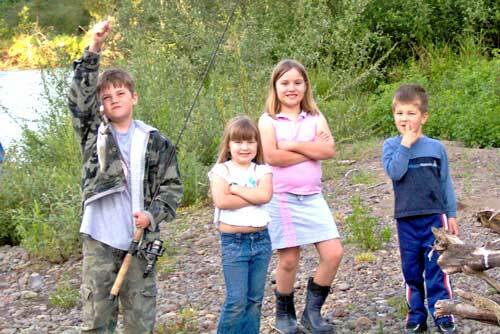 Come to think of it, a person just doesn't see many kids fishing the river anymore. When I was a kid, you couldn't get me away from it. I have, however, seen a couple kids fishing a drainage pond behind a trailer park the other day. If it would have been legal, I'd have let them fish the river behind my house -better yet, take them fishing.. Opening Day for Fishing; Opening weekend for fishing in Oregon. "Wild" Winter Steelhead - Necanicum, Nehalem, Kilchis, Trask or Nestucca Rivers offers many wild fish. Most of the fishing is catch and release except for a chance on the Wilson River for an occasional brute hatchery fish! The Wilson has a mix of wild and hatchery fish available. The month of March is prime time! "Spring" Chinook Salmon - It is forcasted to be another great year for Salmon fishing in Oregon. The Willamette River is said to have an estimated 109,000 fish returning. The Columbia River is also estimated to have a strong run of over 350,000 Spring Chinook Salmon. Over 70% of the Columbia run salmon are estimated to be "fin-clipped" fish (you can keep em!) The best fishing should be the last week in March through April. Columbia River Sturgeon - May 15th through July 1st is the best time to get a "keeper". Catch & release fishing for sturgeon is available and almost unbelievable on the Columbia river after July 1st. "Crab Fishing" in Oregon - July through August is said to be best. McKenzieRE; Lower McKenzie River Fishing; When was the last time anyone has seen a couple of kids riding their bikes down the road with their fishing poles strapped to their handlebars? Has anyone noticed that our youth can no longer be found browsing around the fishing section at the local Bi mart, dreaming of opening day of fishing season? You can bet our local youth can be found glued to the video game assaulting a bunker somewhere in make believe Iraq or otherwise. Are video games really Healthy? We all know the answer. Would you believe that a small club of greedy "old farts" are keeping the youth from fishing on the lower McKenzie River? 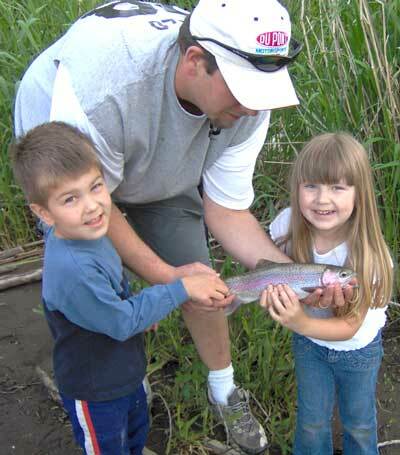 The McKenzie valley offers some of the best fishing in Oregon. Why would anyone want to restrict the fishing instead of promote it? It's great wholesome entertainment for people of any age, It's Free and helps make a person a little more aware of his or her environment. -Kind of strange that the guy's who propose these crazy regulations are all members of a Fly Fishing Organizations and wish all other types of fishing to cease...go figure. Bonneville power has spent millions to fight the northern squaw fish. What happens if there is no fishing for bottom feeding (maybe the old farts at the marine board are related?) variety? The current population of game fish vs. "trash fish" is obscene. No kids can be seen fishing on the McKenzie or the Willamette rivers in the summertime, Only old bastards fly fishing in their 20k boats. If you think fly fishing can manage a stream, you are wrong. If you are an adult that feels offended in the presence of children, You have something wrong with you and should seek counseling. Oregon Cop call.. "ya hoo! we're having fun" - They'll come a running with their ticket book in hand! Welcome to Oregon, "Where everything you doo... is revenue"